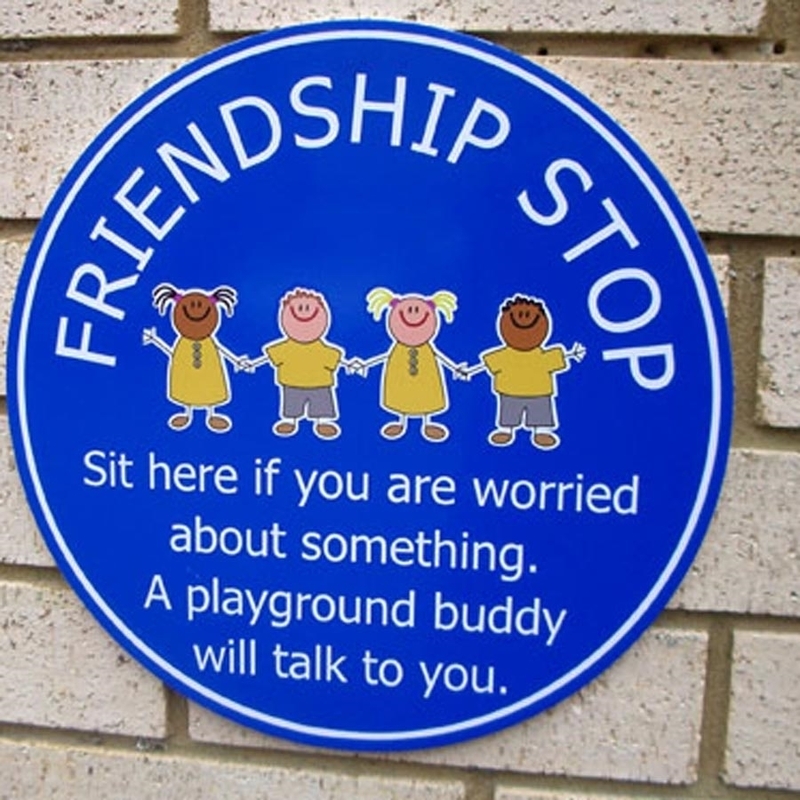 Made from 3mm solid aluminium or aluminium composite. 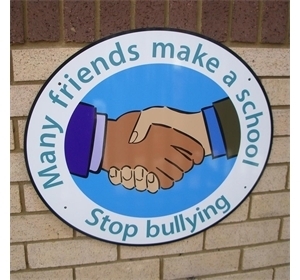 Available in standard designs and colours or to match your school colours. 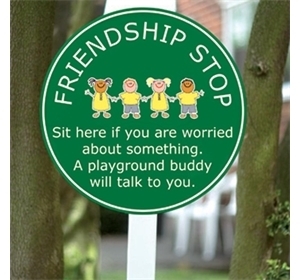 Choose or ask us to modify our existing signs if you wish. 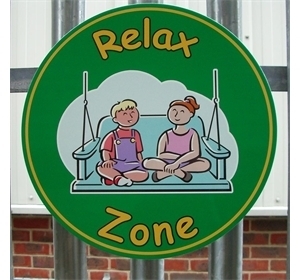 With an option to be wall, railings or post mountable. 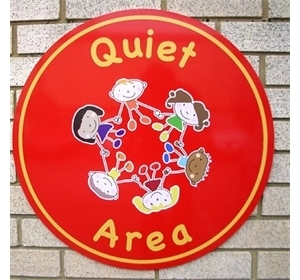 Low maintenance and designed to look good. 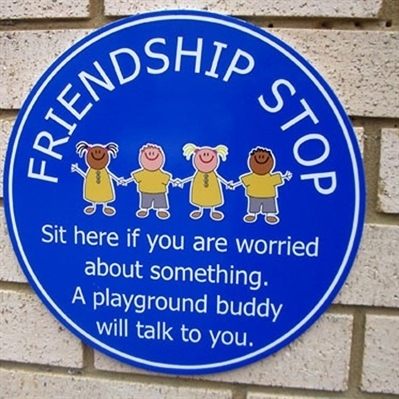 Designed to inform and educate pupils around the school site. 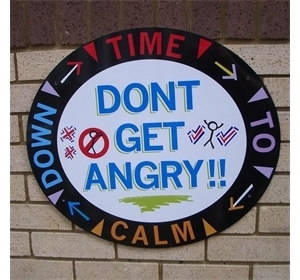 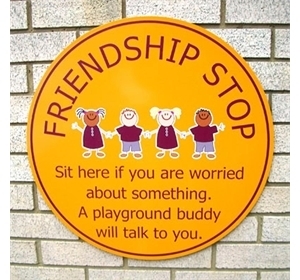 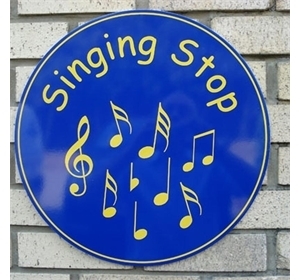 Our Friendship Stop, Buddy Stop or Mentor signs are a great addition to the school play areas. 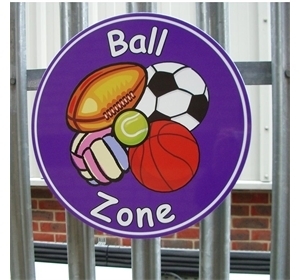 Choose from a range of sizes, colours or styles, or ask us to design your own sign - we don't charge extra for this. 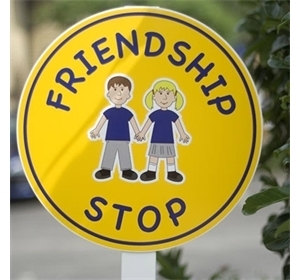 These signs can be wall, railings or post mounted, we also have a self-standing version that can be moved to different locations as needed. 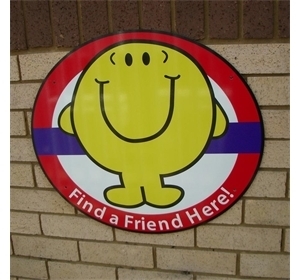 Al of our signs are supplied with a fixing kit to fit to walls, fence or railings. 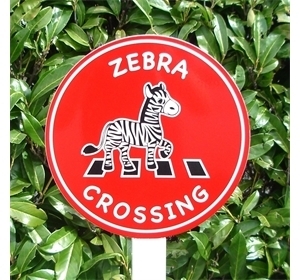 Smaller Post mounted signs are supplied with a single white aluminium 50mm dia post, for safety, medium sized signs have a 76mm white aluminium post and larger signs come with two white 76 dia posts. 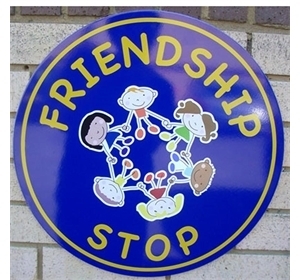 All have post caps and fittings included.